United States (U.S.A)-Canada cross border taxation and Canadian Residents Going Down South for work or pleasure. Read this article if you are a Canadian resident and spend part of the year in the United States (U.S.A) for health reasons, to vacation, work as a regular employee or co op student or for other reasons, and you still maintained residential ties in Canada. This page contains valuable information about certain income tax requirements that may affect you. It will also help you understand the United States and Canada-U.S cross border tax laws that may apply to you. U.S. citizens; permanent resident of United States (U.S. Green Card holders, filing 1040 U.S.A tax returns); or individuals who have residential ties to a country other than the U.S. and Canada. Maintaining social ties in Canada. Keeping a Canadian bank account or credit card. When completing the “Identification” area on your return, do not enter a date of entry or departure. Only immigrants and emigrants need to use these spaces. If you enter a date of entry or departure, CRA may reduce your claim for federal and provincial or territorial non-refundable tax credits. You must report in your income tax return, all of your world income received from sources inside and outside Canada for the year. You may also claim all federal and provincial or territorial non-refundable tax credits, deductions and expenses that apply to you. Your province or territory of residence is where you keep residential ties in Canada and all taxes and credits including GST/HST credit must be calculated accordingly. You must report on your Canadian income tax return any NR4 or NR4‑OAS information slip which indicates income from Canada (such as Old Age Security pension, Canada Pension Plan benefits, and Quebec Pension Plan benefits). The following link will take you to Canada Revenue Agency’s (CRA) website. The booklet contains a lot of valuable information that is very useful if you decide to prepare your income tax on your own – General Income Tax and Benefit Guide and forms book. However, this article includes some additional information you will need. If you are a factual resident of Canada, complete Form T1248, Information about Your Residency Status (Schedule D), and attach it to your return. you received funds or property from, or you were indebted to, a non-resident trust under which you were a beneficiary. If any of these situations apply to you, special rules may apply. For more information, see your income tax guide or call us. These winnings are not taxable in Canada, so you do not have to report it on your Canadian return. Additionally, you cannot claim a credit for the taxes withheld on your winnings. But you may want to consider filling a US income tax return (1040NR) to claim a refund on some or all of the taxes taken off from your winnings. Please contact Fairtax Business Services for more details and eligibility. If so, keep records to support your income and expense claims. For more information, see Canada Revenue Agency’s (CRA) Guide T4036, Rental Income or call Fairtax Business Services. Claiming medical expenses paid in the U.S.
You can claim eligible expenses that were paid for yourself, your spouse or common-law partner, and certain other individuals who were dependent on you for support. You can claim medical expenses that were paid in any 12-month period ending in the year, if they were not claimed in the previous year. For more information, call us or see lines 330 and 331 in your General Income Tax and Benefit Guide or see Interpretation Bulletin IT-519, Medical Expense and Disability Tax Credits and Attendant Care Expense Deduction in CRA’s website. Premiums paid to private health-services plans? You can claim most of them as a medical expense on your return. For more information, call Fairtax Business Services or see line 330 in your General Income Tax and Benefit Guide, or see Interpretation Bulletin IT-519, Medical Expense and Disability Tax Credits and Attendant Care Expense Deduction. If you are including U.S. income on your return, you can claim a credit for donations to U.S. charities that would be allowed on a U.S. return. The total donations to U.S. charities you can claim cannot be more than 75% of the net U.S. income you report on your Canadian return. For more information on how to claim the foreign tax credit please call Fairtax Business Services, or see line 405 in your General Income Tax and Benefit Guide. For more information please call us, or see CRA’s Form T2209, Federal Foreign Tax Credits, or see Interpretation Bulletin IT-270R3, Foreign Tax Credit. If you need more information, you can call Fairtax Business Services or visit the Canada Revenue Agency Web site, or you can call CRA at 1-800-959-8281 or CRA’s International Tax Services Office at 1-800-267-5177 (calls from Canada and the U.S.). As a Canadian resident who is not a U.S citizen or Green card holder, who spends part of the year in the U.S., you are considered either a resident alien or a non-resident alien of the U.S. for tax purposes. Resident aliens are generally taxed in the U.S. on income from all sources worldwide (should file a 1040 tax return), and non-resident aliens are generally taxed in the U.S. only on income from U.S. sources (should file 1040NR tax form). Therefore, it is important for you to determine if you are a resident alien or a non-resident alien. You are considered a resident alien if you meet the substantial presence test. If you were in the U.S. for 183 days or more in 2016, you meet the substantial presence test. If this is your situation, you are considered a resident alien of the U.S. Although the comments in this section and the following section do not apply to you, you should read “Residence under the treaty” and “Do you have to file a U.S. tax return?“. If you were in the U.S. for less than 31 days in 2016, you do not meet the substantial presence test. If this is your situation, you are considered a non-resident alien of the U.S. Although this section does not apply to you, you should read “Do you have to file a U.S. tax return?“. If you were in the U.S. for 31 to 182 days in 2016, you may meet the substantial presence test. Please call Fairtax Business Services for more information. The days do not have to be consecutive, and you are treated as being present in the U.S. on any day you were there for part or all of the day. If your total is at least 183 days, you have met the substantial presence test and you are considered a resident alien for 2014 taxation year. If this is your situation, call Fairtax Business Services or see CRA’s site “Are you a non-resident alien?” for more information. If your total is less than 183 days, you are considered a non-resident alien for 2014. If this is your situation, call us or see CRA’s site “Do you have to file a U.S. tax return?“. Albert and Lori are residents of Canada and own a mobile home in Florida, where they spend part of the year. They are not a United States citizen or Green card holder. Although they have no U.S. source income, they still need to determine their U.S. residency status for income tax purposes. To do this, they have to calculate how many days they were present in the U.S. during 2016, 2015, and 2014 in total. Since this total is at least 183 days during the three-year period, they meet the substantial presence test, and they are considered resident aliens by the U.S. for 2016 and may have to file 1040 U.S. income tax return. For more information on this subject, cal Fairtax Business Services or Internal Revenue Service (IRS) Publication 519, U.S. Tax Guide for Aliens. You are a non-resident alien if you do not meet the substantial presence test. Please call us or read “Do you have to file a U.S. tax return for more information. you were present in the U.S. for less than 183 days during the tax year. you had a closer connection to Canada than to the U.S. during the year. Your tax home is the location of your principal place of business (for self-employed people) or employment, regardless of where you maintain your family home. If you are not employed or self-employed, your tax home is where you regularly live. It can be a house, an apartment, or a furnished room, and you can rent or own it. It must have been available to you continuously and at all times throughout 2014, and not just for short stays during the year. the jurisdiction where you hold a driver’s license. If you have applied to the U.S. Citizenship and Immigration Services for Lawful Permanent Resident status in the U.S. (i.e., applied for a “green card”), or you have been granted permanent residency status (i.e., granted a “green card”), you will not be eligible to claim the closer connection exception. Advising the IRS about your closer connection to Canada? You have to file IRS Form 8840, Closer Connection Exception Statement for Aliens, to advise the IRS that your tax home is in Canada and that you maintained more significant ties in Canada than in the U.S. during 2014. Each individual claiming the closer connection exception has to file Form 8840. Therefore, if you have a spouse and children, each of them must file Form 8840 to claim the exception. if you do not file Form 8840 by June 15, 2016, you will not be eligible to claim the closer connection to Canada, and you will be considered a resident alien. However, if you tried to comply with this filing requirement but were unable to do so for a valid reason, attach an explanation to Form 8840 when you file it. Albert and Lori have determined that they are resident aliens for 2016 because they meet the substantial presence test. However, they file Canadian returns as residents of Canada, and their family, belongings, and permanent home are in Canada. Also, they maintain social and religious ties in their home town in Canada. Since Albert and Lori have closer ties to Canada than to the U.S., and they were present in the U.S. for less than 183 days during 2016, they may be considered non-residents of the U.S. under the closer connection exception. Albert and Lori each have to submit Form 8840 by June 15, 2016, to advise the IRS of their closer connection to Canada, or they will not be eligible for the exception. If they do not file on time, they may be subject to U.S. income tax on their worldwide income. Each year, you have to determine if you are a resident alien or a non-resident alien. And each year, if you are a resident alien with closer ties to Canada than to the U.S., you have to file a new Form 8840. If you are a resident alien because you met the substantial presence test and you cannot claim the closer connection exception, you may be able to determine your residency status under Article IV of the Canada-United States Income Tax Convention. your permanent home is in Canada . 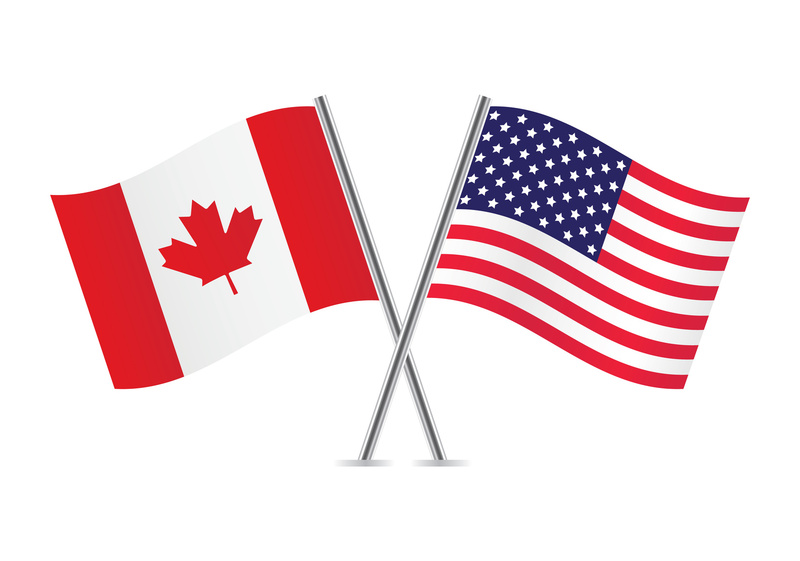 If you also have a permanent home in the U.S., you may be treated as a non-resident alien if your personal and economic ties are closer to Canada than to the U.S.
For more information on this subject, see Chapter 9 of Publication 519, U.S. Tax Guide for Aliens. If you are claiming to be a resident of Canada under Article IV of the Canada-United States Income Tax Convention, you should complete and attach Form 8833, Treaty-Based Return Position Disclosure Under Section 6614 or 7701(b), to your U.S. income tax return. Do you have to file a U.S. tax return (Form 1040 or 1040NR)? Generally, resident aliens have to file a U.S. tax return to report worldwide income for the year if their annual gross income exceeds certain U.S. dollar amounts. For more information, see the section called “Filing Requirements” in the Instructions for Form 1040. If you are a resident alien who cannot be considered a non-resident alien under Article IV of the Canada-U.S. Income Tax Convention or under the closer connection exception, you should file Form 1040 as a resident alien if you meet the filing requirements described in the Form 1040, Instructions. income that is not effectively connected with a trade or business in the U.S., but is from U.S. sources (including interest, dividends, rents, and annuities). Effectively connected income, after allowable deductions, is taxed at the same rates that apply to U.S. citizens and residents. Income that is not effectively connected is taxed at 30% or a lower treaty rate. you have income that is not effectively connected and that did not have sufficient tax withheld at source. If you have income that is not effectively connected and had too much tax withheld at source, you should file a U.S. Tax return to claim a refund of the overpaid tax. You have to file your U.S. return by April 15, 2015, if you were an employee in the U.S. and received wages subject to withholding. For more information, call us or see IRS Publication 519, U.S. Tax Guide for Aliens, or contact the IRS. Did you receive U.S. gambling or lottery winnings? As a non-resident alien, you are subject to tax on gross U.S. gambling or lottery winnings at the rate of 30% at the time of winning. However, winnings from blackjack, baccarat, craps, roulette, and Big-6 wheel are exempt from tax. If you received tax-exempt winnings, or if the correct tax was collected at the time of winning, you do not have to file a U.S. tax return if this is your only U.S. income. Under the Canada-U.S. Income Tax Convention, you can claim your U.S. gambling losses up to the amount of your U.S. gambling winnings for the year using the same rules that apply to U.S. citizens and residents. To claim a refund of taxes withheld from gambling winnings, you must file Form 1040NR, U.S. Non-resident Alien Income Tax Return. Please call us for more details, we can help. Since proceeds from blackjack, baccarat, craps, roulette, and Big-6 wheel are exempt from tax, you cannot claim any wagering losses you incur from these games. Be sure to keep an accurate record of your U.S. gambling losses and winnings. Do you own U.S. property? If you own U.S. property, such as a condominium or house, you should be aware of the tax consequences of renting out or selling U.S. real estate. Did you receive rental income from this property? As a non-resident alien, you are subject to U.S. income tax on rental income you receive from U.S. real property. You are considered to have received the income from a U.S. source, even if it was paid to you while you were in Canada. Rental income is not effectively connected with the conduct of a U.S. trade or business and, as such, is subject to a 30% tax on the gross income, with no expenses or deductions allowed. However, under the Internal Revenue Code, you can elect to treat rental income as income that is effectively connected with the conduct of a U.S. trade or business. If you make this election, you are taxed on the net income. You can claim expenses related to owning and operating the rental property during the rental period, including a mandatory depreciation charge. a list of any previous taxable years for which you made an election, or revocation, to treat U.S. real property income as effectively connected with a U.S. trade or business. For information on rental income and expenses, get IRS Publication 527, Residential Rental Property (Including Rental of Vacation Homes). If you have not made an election to treat your U.S. rental property income as effectively connected with a U.S. trade or business, then tenants or management agents (withholding agents) have to withhold a 30% non-resident tax from the gross rent and send it to the IRS using Form 1042, Annual Withholding Tax Return for U.S. Source Income of Foreign Person’s, and Form 1042-S, Foreign Person’s U.S. Source Income Subject to Withholding. If you want to be exempt from the 30% non-resident withholding tax and are making the election to treat the U.S. rental properties as effectively connected with a U.S. trade or business, then you have to give the tenant or management agent Form W-8ECI, Certificate of Foreign Person’s Claim That Income Is Effectively Connected With the Conduct of a Trade or Business in the United States. For more information on U.S. withholding taxes, see IRS Publication 515, Withholding of Tax on Non-resident Aliens and Foreign Entities. Did you dispose of U.S. real estate? As a non-resident alien, gains or losses you have from disposing of U.S. real property interests are considered to be effectively connected with a U.S. trade or business. If you sell or otherwise dispose of U.S. real estate, the purchaser, or his or her agent, is generally required to withhold 10% of the gross sale price at the point of sale. However, there are exceptions to this rule. For more information, see the section called “U.S. Real Property Interest” in IRS Publication 515, with holding of Tax on Non-resident Aliens and Foreign Entities or cal Fairtax Business Services. You then have to file Form 1040NR, U.S. Non-resident Alien Income Tax Return, and the required schedules, to report the gain or loss. Call us for a free no obligation quote. If you own the real property with another person such as your spouse, each of you has to file a Form 1040NR. Stock in a U.S. corporation or an interest in a partnership may be treated the same as real estate if the corporation owns a certain amount of U.S. real estate or if the partnership owns U.S. real estate. For more information on gains and losses from the sale of U.S. real property, see the section called “Real Property Gain or Loss” in IRS Publication 519, U.S. Tax Guide for Aliens. interest in a partnership, if the partnership’s principal place of business is in the U.S. The U.S. estate tax is based on the fair market value of the asset on the date of death, so there is no impact from a profit or loss because of a deemed disposition on the date of death. Non-resident aliens cannot claim foreign tax credits on a U.S. estate tax return for deemed-disposition capital gains income taxes paid to Canada. For the transfer of a decedent’s U.S. assets, the IRS requires Form 706NA, United States Estate (and Generation-Skipping Transfer) Tax Return if the value of the U.S. assets exceeds $60,000 on the date of death. The Canada-U.S. Income Tax Convention provides significant changes to the U.S. estate tax provisions if you own U.S. property. These provisions are retroactive to November 10, 1988. For more information, see Form 706NA and instructions from the IRS. If you are a non-resident alien who has to file a U.S. tax return, you must have a taxpayer identification number. Generally, this is a Social Security Number from the United States. If you were issued a Social Security Number, you should use it. You must not use your Canadian social insurance number. A non-resident alien who does not have a taxpayer identification number must apply for one. Generally, non-resident aliens are not eligible to apply for Social Security Numbers unless they have been authorized to be employed in the United States. If you are ineligible to apply for a U.S. Social Security Number, then you must apply for an IRS Individual Taxpayer Identification Number (ITIN). Individual Taxpayer Identification Numbers (ITINs) will expire if not used on a federal income tax return for any year during a period of five consecutive years, the Internal Revenue Service announced today. That is, the IRS will not deactivate an ITIN that has been used on at least one tax return in the past five years. To give all interested parties time to adjust and allow the IRS to reprogram its systems, the IRS will not begin deactivating ITINs until 2016. If you were issued a U.S. temporary identification number by the IRS for a tax year before 1996, you can no longer use that temporary number and must apply for an ITIN. ITINs are intended for tax use only. They have no effect on being allowed to work or live in the U.S.
Use IRS Form W-7, Application for IRS Individual Taxpayer Identification Number, to apply for an ITIN. Under new procedures which went into effect in December 2003, your Form W-7 must be attached to a U.S. tax return. For further information on ITINs please visit the IRS Web site. You may be required to file a state or local income tax return for the state or city you were in while visiting the United States. Different states and cities have different filing requirements. For more information, contact the state or city authorities where you stayed. For further information, on state and local taxes in the United States please refer to the State and Local Government on the Net Web site. Need more information from the Internal Revenue Service (IRS)? USA You can also contact the IRS office in Pennsylvania by telephone at 215-516-2000. If you are in the U.S., contact the IRS office in your area. You may also get forms, publications, and tax information by visiting the IRS Web site. On this site you can also find U.S. tax information for foreign nationals.